A lot of readers here are calling this the best so far, and I liked revisiting the series but it took a while for me to get through. 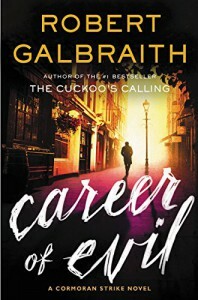 The story is darker and bloodier than the previous books, and as you're reading it you may get the impression the Cormoran/Robin dynamic is going to shift into shark-jumping territory. I won't spoil that, but will stick around for the fourth book to see how that pans out.